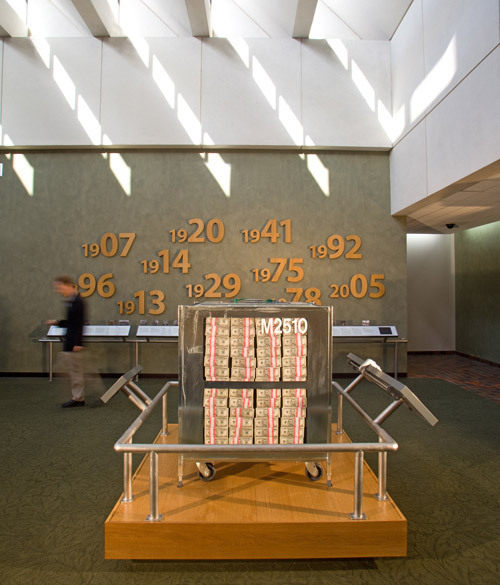 Partner Keith Helmetag led the recently installed exhibit in the Miami branch of the Federal Reserve Bank of Atlanta. 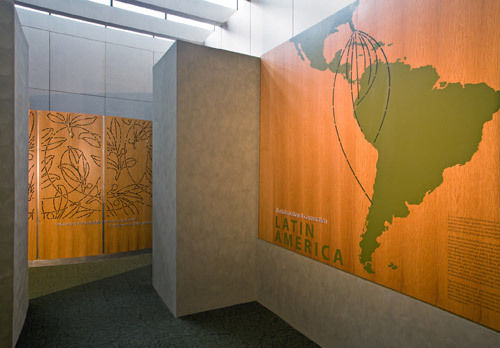 The exhibit covers Floridian financial and economic history in the 20th century, including the Bank's oversight of Latin American financial exchange. 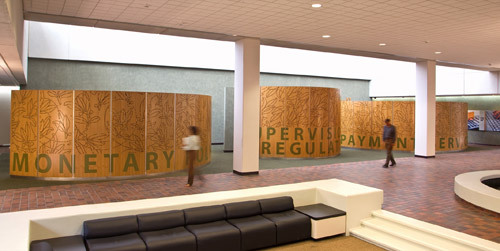 The exhibit also intertwines finance with the indisputable influence of Miami's rich cultural heritage. 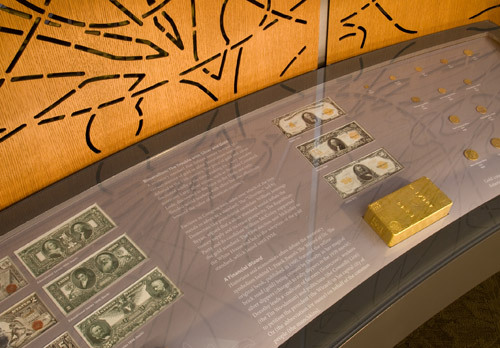 Included in the exhibit are interactive games and numismatic artifacts, helping the visitor sort out the complexities of the nation's financial system. 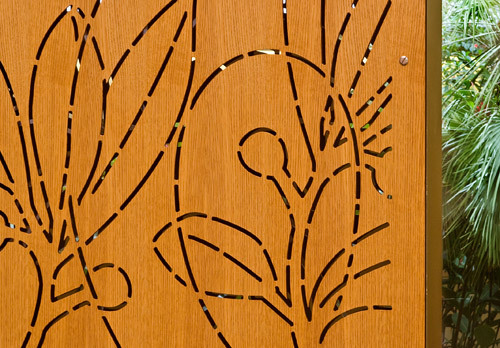 Special attention was paid to the interior of the gallery, which is lined with oak paneling laser cut with botanically-inspired currency engraving motifs. 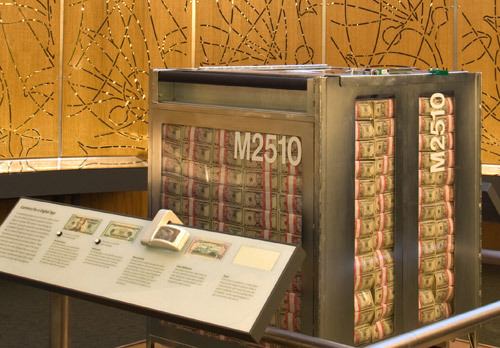 Even the multipurpose tables in the conference space here relate to the Bank's important functions in the US economy: they are made out of compressed, shredded money, worn bills taken out of circulation by the Fed.